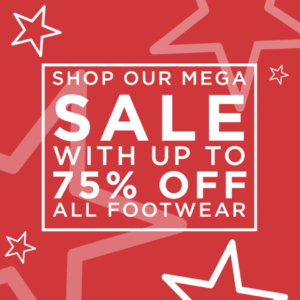 …in our up to 75% off Mega Sale!! Enjoy browsing all your favourite Pixie designs in our sale. Everything is reduced with discounts starting from 30% up to 75% off! It’s a huge sale from us, featuring all those lovely warm winter boots – start shopping now!